We are now power load defectors! So here’s the wrap up after our first full year with solar and storage. Well, happy anniversary to us and our rooftop solar array and battery storage. 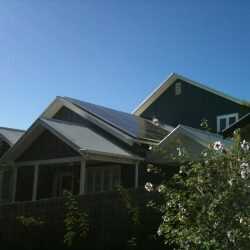 The 5kW of solar (LG) and two Enphase battery storage systems were installed 12 months ago, along with a solar hot water system. Welcome to our lives as electricity load defectors. Not grid defectors (yet), but load defectors – part of a still small percentage of homes with solar (20 per cent) and a tiny fraction with battery storage – all looking to meet some of their own electricity needs. This cohort be small now, but it is already significant, and it is rapidly growing. In time, perhaps by the early 2040s, half of all electricity demand will be served by homes like ours, as well as businesses and community projects. Network and market operators understand this, and welcome it. Here’s some of the key details from our story: Until the installation of our solar system just over a year ago, the average draw from the grid of our house in the previous six months we had been there (late summer, autumn and winter) was around 18kWh/day. Our total use – thanks to the installation of the solar hot water system (from Apricus) and the junking of the old and inefficient “kettle” that previously heated the water – has fallen to 13.7kWh/day over the full year. Yellow shows monthly production from rooftop solar, purple the energy use (including the solar stored in batteries). Source: Solar Analytics. But our average draw from the grid has fallen to just 5kWh a day – thanks to the fact that most of our supply now comes from rooftop solar, and some of that is put in two very small boxes (battery storage) for use in the evening, or during the day if the solar output goes down. (In summer our average use from the grid is less than 2kWh a day, though it depends on how many people are staying and how much we are using the electric oven. We have pool pumps, our tank water is also delivered by pumps, and we have air-con, although we don’t use it all that much). That data should make us very happy people, and it does. It’s nice to have solar power most of our electricity needs throughout the day, and for the storage to look after the lights, the fridge, the water pumps and the other stuff for much of the evening. Effectively, we have gone 66 per cent renewable, and more than 100 per cent in daylight hours. The surprising thing about these two Enphase batteries – although their maximum combined output is just 550watts/hour, is that they can look after most appliances, except for the electric oven and the rare times (twice) we had the air-con after dark, or when we have all the lights on for a party, and/or we have visitors, which is often. Mostly, the batteries last till between 10pm and 12pm, although they often go into the early morning and (if we’d been out the night before), until dawn. The blue is the battery suppling the household, the green is the battery charging, the brown is the pool pump, and the big lump of yellow is solar going back to the grid. In fact, when we are not there, the house may not draw from the grid at all over a 24 hour period. (see graph above, from our Solar Analytics monitoring device. Note the blue line which shows the power is delivered by the battery). Another reason why it makes us happy is the reduced bill. See that figure to the right – that is the total bill we have paid for electricity used at the home over the past 12 months. It’s negative $31.56, probably thanks to the fact we have gotten a good feed in tariff (12c/kWh and now 16c/kWh) from our local retailer, Enova. So, while most people have been hit by yet another 20 per cent rise in electricity bills, ours has fallen from around $2,500 a year to just $560 a year. And that bill we do pay is made up entirely of network charges. In this region, northern NSW, that amounts to $1.60 a day. That’s about $560 a year that we can’t dodge. 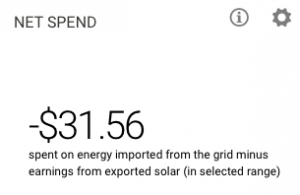 To put it another way, it costs us an extra 30c/kWh of imported electricity just to use the grid – that’s a total charge of more than 60c/kWh for grid power. The network still hits the retailer for the energy we export, which is why we don’t get anywhere near the “retail” rate for our solar power, even though it’s going next door. At those network prices, accusations of being a “freeloader” on the network are hard to stomach. No, we don’t fit into the prevailing models of the utilities, but that’s their problem. Worse, it’s a problem for low income and low usage households – such as retirees – who are similarly afflicted with outrageous charges. 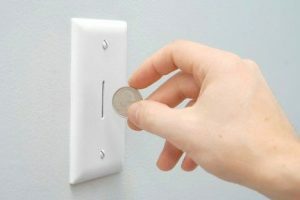 Unless those network prices moderate, and if battery storage prices continue to fall as predicted, then we will have an economic incentive to install enough batteries to cut the wires – particularly if the generation mix from the grid has not improved. That’s not something we would necessarily want to do. Our belief is that it is better to stay on the grid and be involved in energy trading, using our battery to provide network benefits, and all the other benefits of sharing electricity. We’d be happy to sell our output to low income housing at a discount of what we now sell to the retailer. But not if the networks continue to load up costs, refuse to take write downs for past over investment, and don’t recognise the benefits of distributed generation. 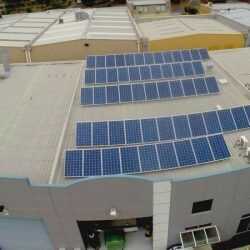 Properly used, solar and storage can save networks, and other consumers money. 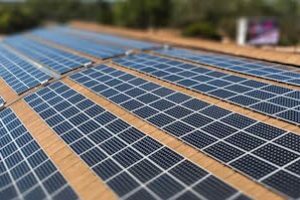 Just look to Horizon and what they are doing, the Exmouth Golf Club is one example, but consumers and communities do not need to go off-grid, they can make do with a “thin” wire, by using their own solar and storage. So, how did everything perform? The LG panels have done pretty well. They are not ideally placed, because the roof structure meant we had to go east-west, and the neighbours gum trees cause shading that affects just under 10 per cent of the output. Still, despite those limitations, they have still managed a “capacity factor” of around 17 per cent, or just over 20kWh a day. The Enphase batteries have also gone well, without a hitch. It’s surprising how much they can do and we can see the argument for a modular system – just add more when you need it. 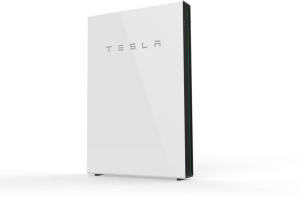 Right now, we can’t see the point of a bigger battery storage system like a Powerwall 2, because we could simply not make enough use of it. Maybe if we went off grid though, but then we’d likely need two of them, although I haven’t done the numbers on that. And the numbers for the solar hot water are good too. We had to have the booster on a couple of times over a few weeks in late autumn, when it got cloudy and rainy, but haven’t used it at all for the last four months – but then it hasn’t rained either and the region has enjoyed above average solar hours per day.